Do you still plan your routes with pen and paper? If so, you need to stop. Go ahead and throw that pen out the window. Ball up your map and toss it in the trash. 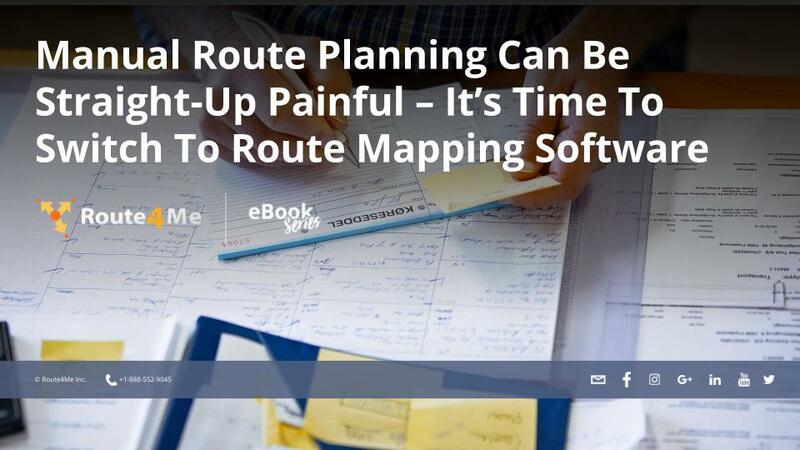 It’s time to change your planning process and switch to using a route mapping software. You see, planning routes manually takes a long time. There’s more to it than just figuring out which roads your drivers must take to reach your customers. You also need to account for traffic, weather, construction, customer availability, and other factors. If you have dozens of customers and multiple drivers, this process can take hours. But not if you have a route mapping software. Another problem with manual route planning is that the routes you come up with are rarely perfect. Route planning is complicated work. You might make a mistake and accidentally give your drivers an inefficient or (even worse) inaccurate route. Inefficient routes will delay your drivers. Inaccurate routes will result in your drivers getting lost, which would delay them even further. Your customers won’t like that! We’ll tell you why you should invest in a route mapping software. Route planning software guarantees that every route you give your drivers is the most efficient route possible. Your drivers will have everything they need to show up on time consistently. You’ll be able to keep your customers happy and maintain a good reputation. Some destinations, such as hospitals and universities, have many different entrances.